When it’s June and it’s already a sweltering 90 degrees, turning on my oven is the last thing I wanna do. Instead, we make BLT salads and Alice Waters’ ratatouille for dinner, and sometimes homemade ice cream for dessert. Easy, oven-free territory. My only exception? 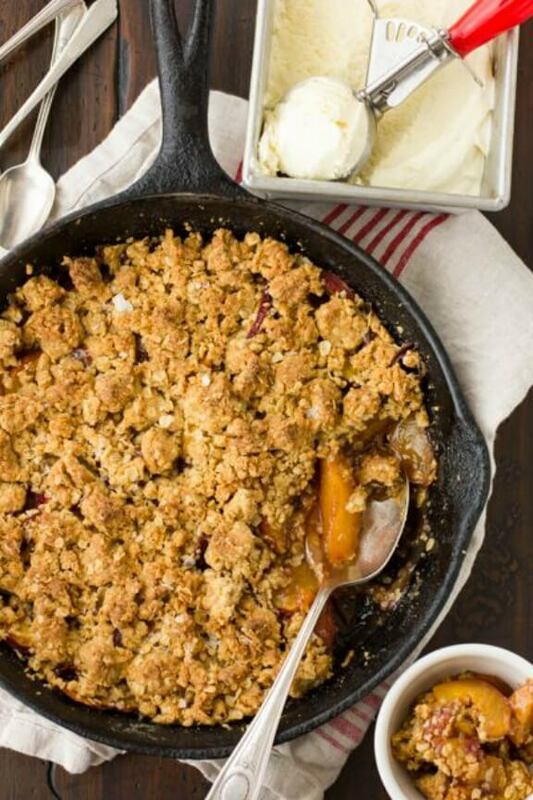 Cobblers, crumbles, and crisps. 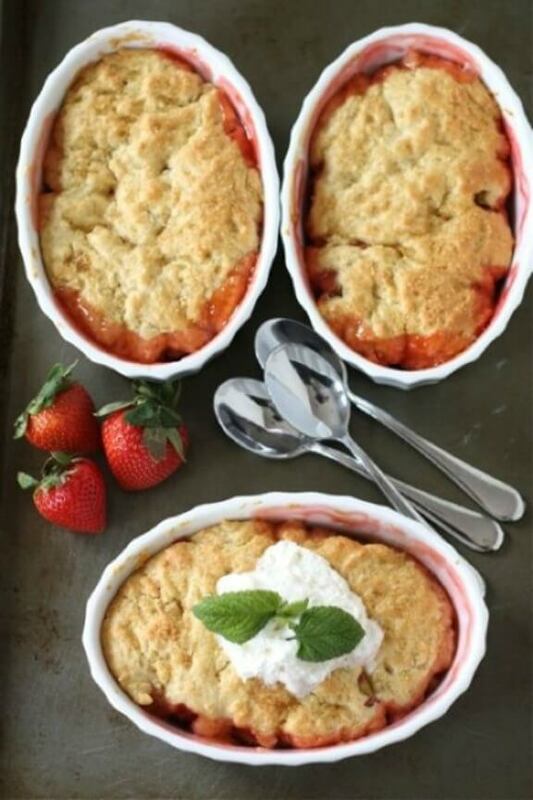 (Also known as my favorite buttery, bubbling vessels for enjoying fresh summer fruit.) For those, I will gladly turn on my oven. Crumbles & Crisps: There’s not much of a discrepancy among these two, they’re pretty interchangeable. 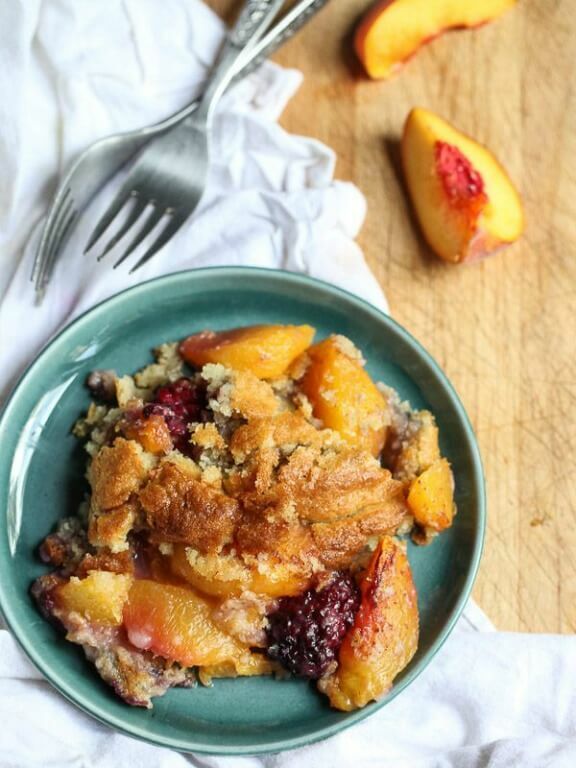 Both are made with fresh fruit, sprinkled with a streusel topping (sometimes containing nuts), and baked until the fruit is bubbly and the topping is, well, crisp. 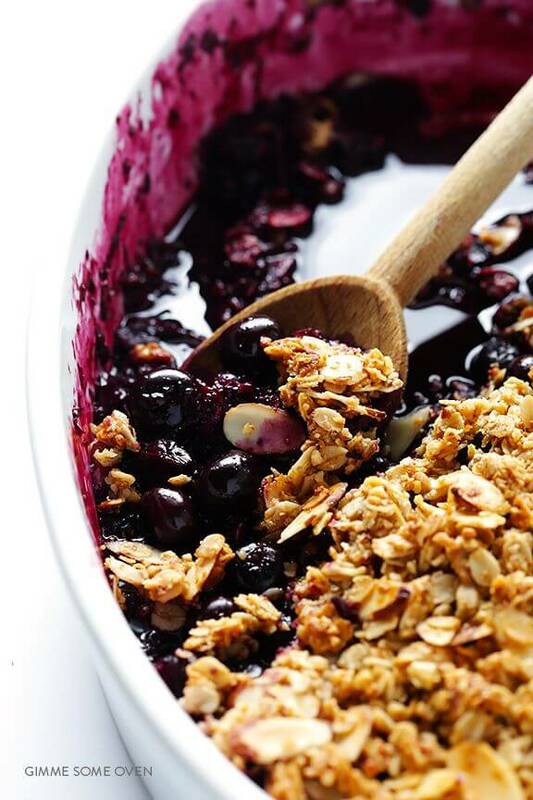 The streusel in crisps is typically made with oats, whereas the streusel in crumbles isn’t. 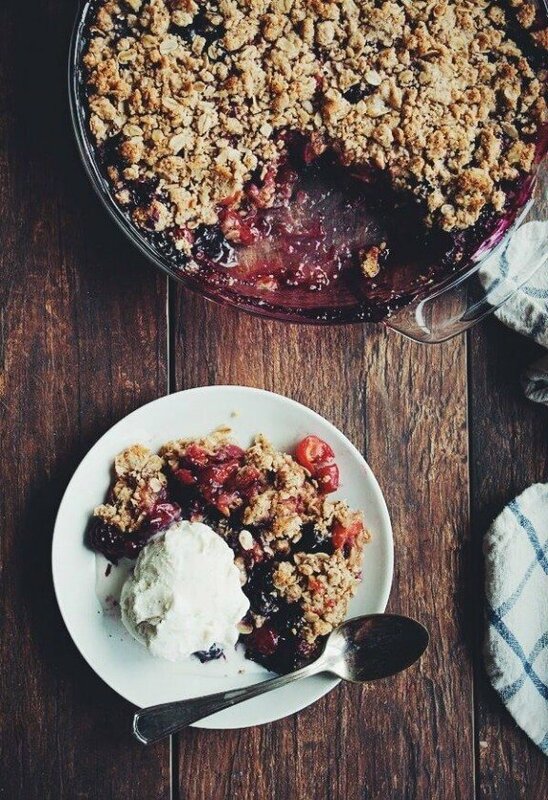 Crumbles are also originally of British origin. Both are a simpler, lazy answer to pie, and they’re delicious. 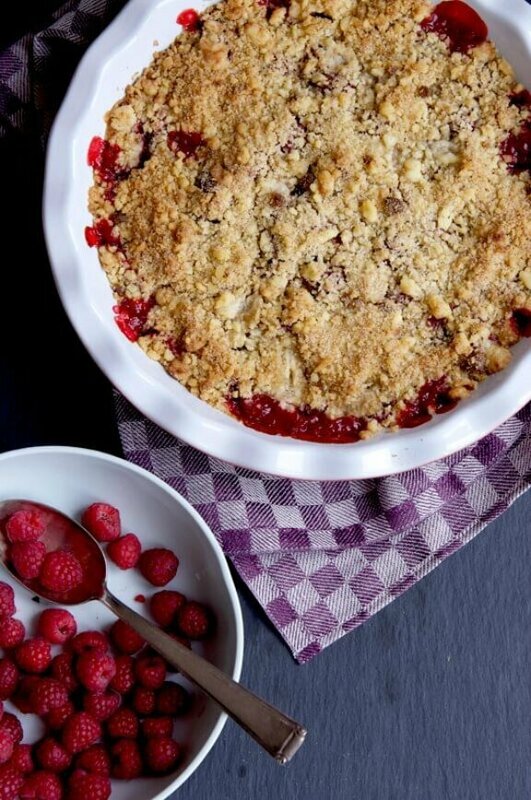 So you say crumble, I say crisp, let’s not call the whole thing off. 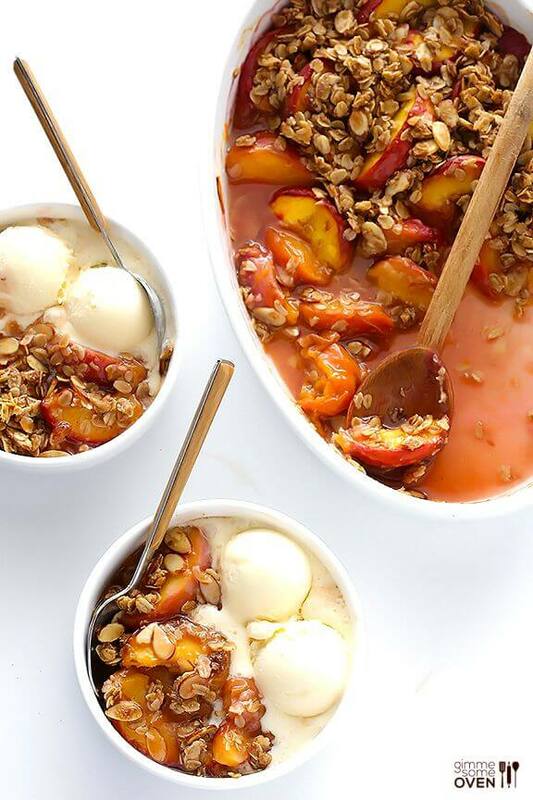 We love them all, especially when they’re made with fresh farmers’ market fruit, and served up with a big scoop of vanilla bean ice cream. 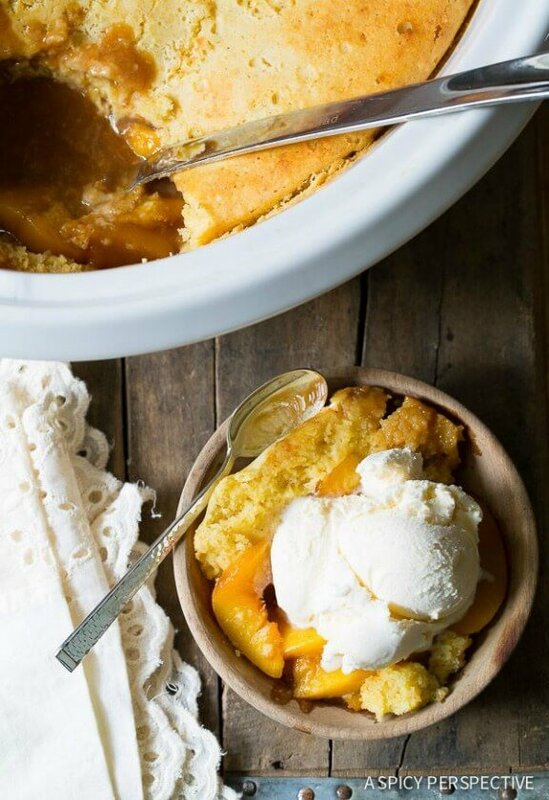 So preheat the oven, turn on the fan, grab a spoon and dig in! 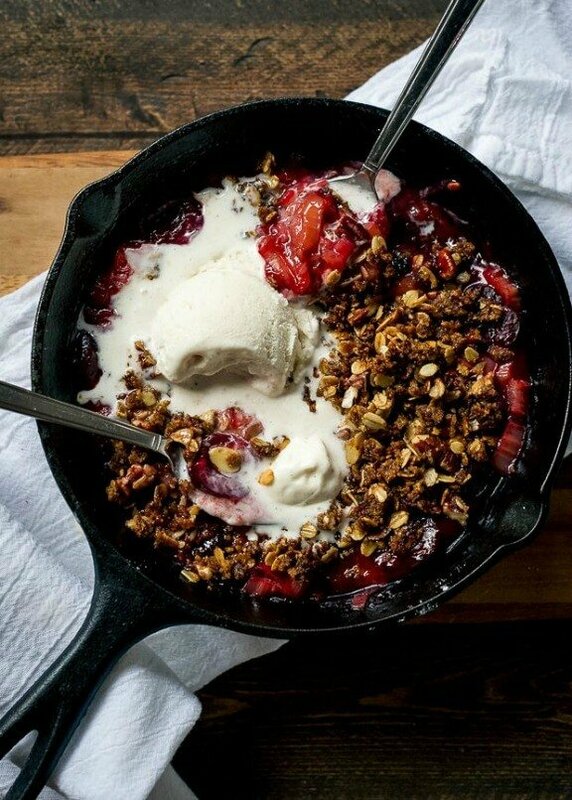 I hope you don’t mind the link, but I thought it was relevant and who doesn’t like more fruit desserts! 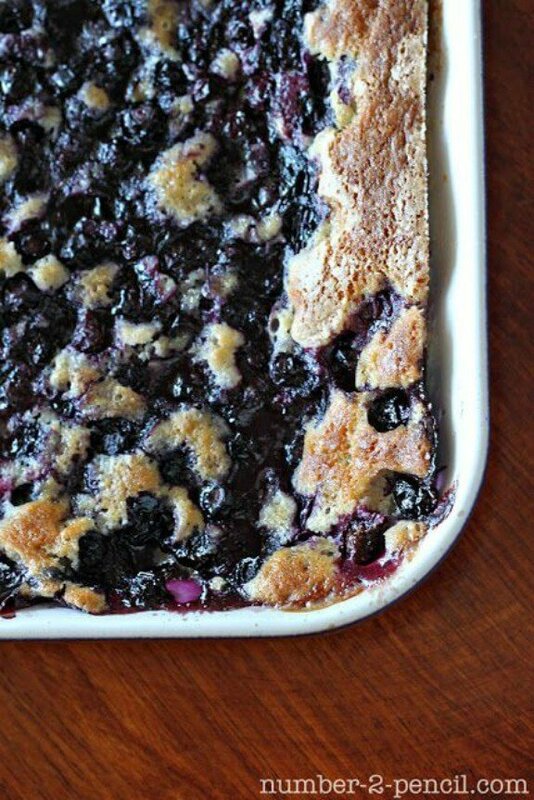 We just made homemade short cake yesterday to kick off berry season – next ups is a cobbler or crisp!! Now if only I could stop eating all the berries plain – lol. 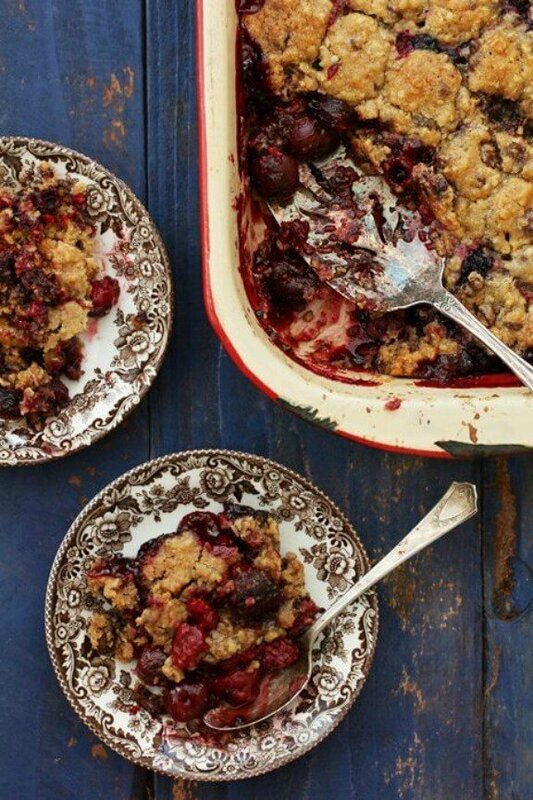 All of these cobblers and crumbles look phenomenal! 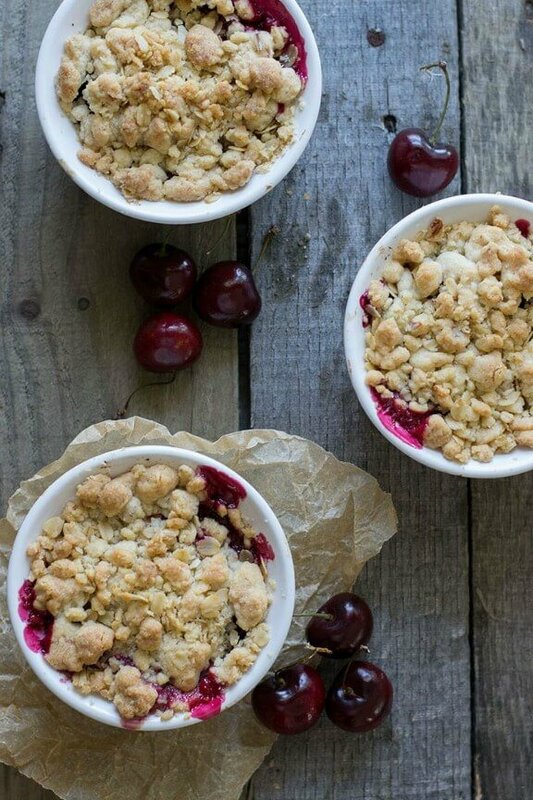 I think the sour cherry one will be on my list of desserts to make very soon. Thank you for sharing, Ali. 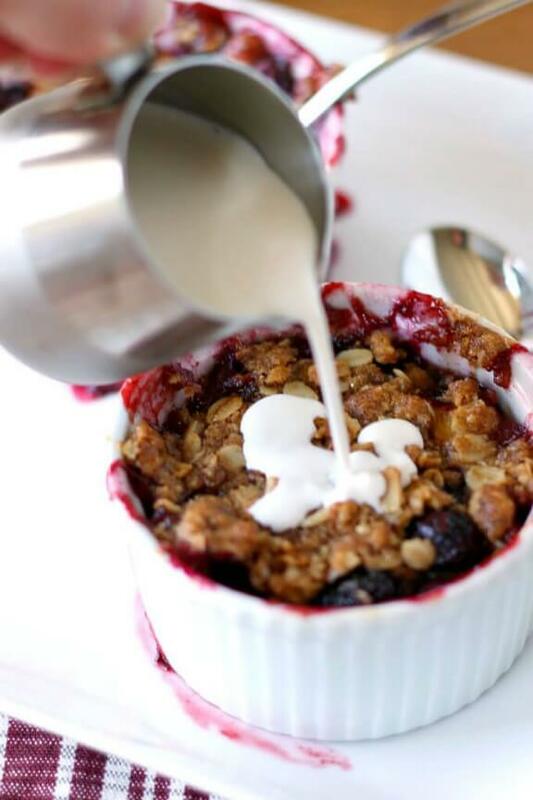 The cobblers, crumbles and crisps have a comforting taste of a made-from-scratch dessert, they are filled with naturally sweet and tender fruit, finished off with a golden-brown topping and are incredibly simple to make. 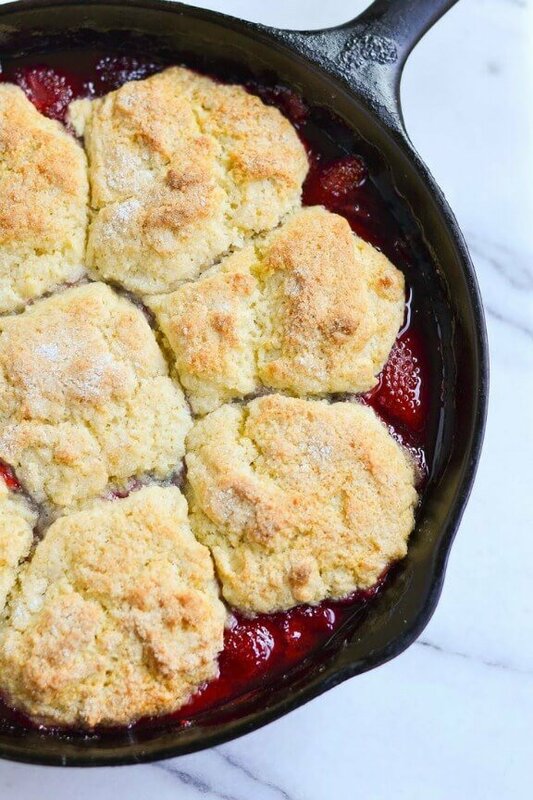 And what’s more, crisp, crumble and cobbler recipes only take 10 minutes of preparatory work — the rest of the magic happens in the oven. Great collection of cobblers, crumbles and crisps! 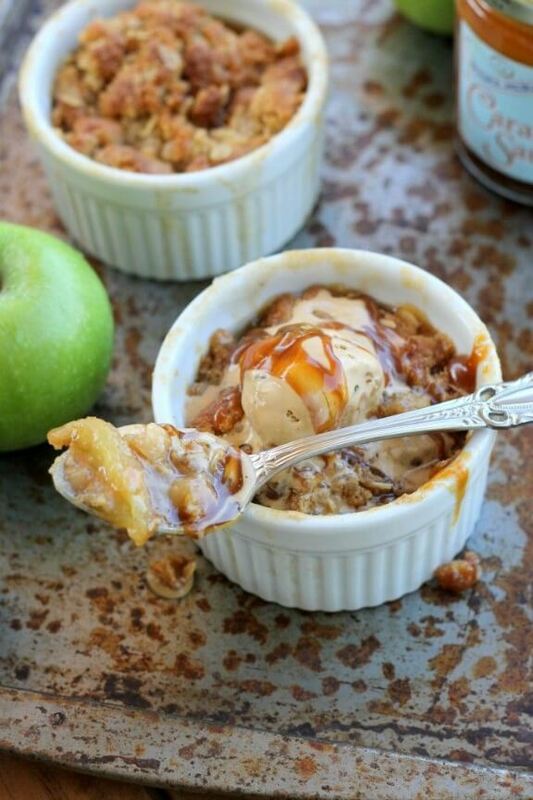 I love almost all of these and cannot wait to add them to my dessert menu!